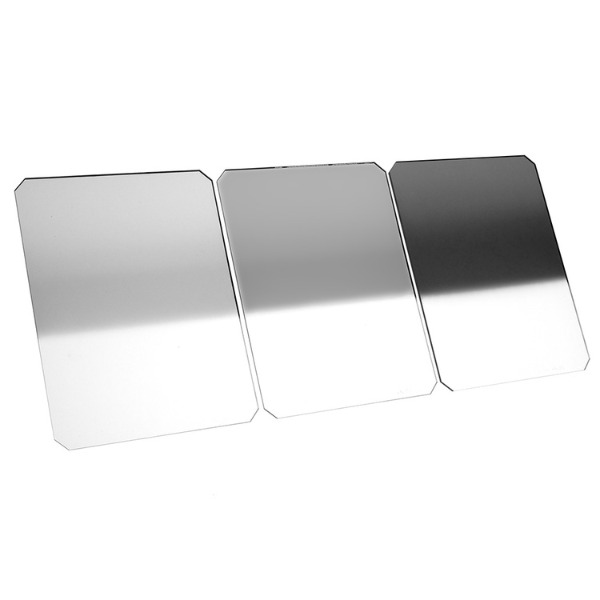 The Formatt Hitech Neutral Density (ND) Reverse Edge Grad Filter Kit contains the most commonly used densities of the ND Reverse Grad filters. The ND Reverse Grad filters are lightest at the top and increase in density toward the center, then feature a hard edge transition to clear at the center of the filter. This specialty filter is especially useful just after the sun has set where a bright band of light is at the horizon fading to dark at the top of the frame. This ND Filter Kit 7 comprises three 85x110mm ND Reverse Grad filters including 0.3 (1 stop), 0.6 (2 stops) and 0.9 (3 stops).